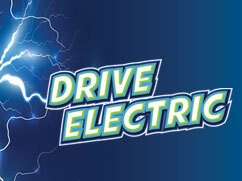 Plug-in to your Future-Drive Electric! Ten years ago, electric vehicles seemed so futuristic. But these days, EVs are becoming a common sight on our roadways. Consumers have more choices than ever when it comes to driving electric as manufacturers meet growing demand for EVs with many new models, extended mileage ranges and great price points. 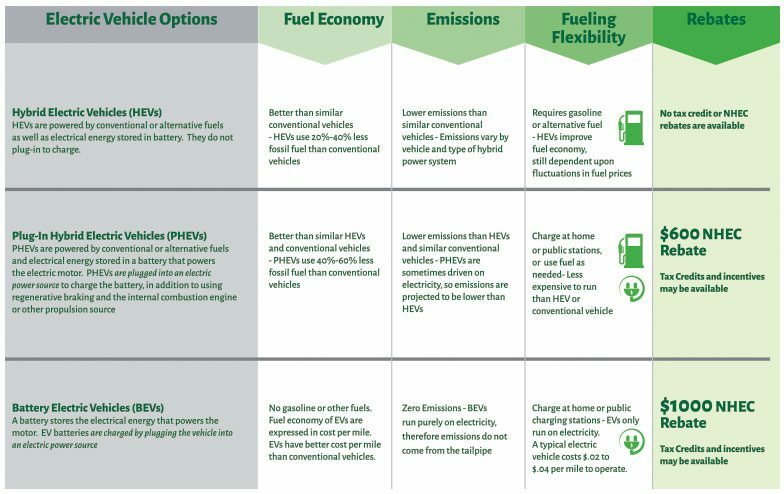 Which EV is Right for me? Electric cars are becoming more mainstream, you’re not alone in wondering whether an electric car is right for you. As the technology supporting electric cars (EVs) and batteries continue to improve, so does the mileage range and the EV charging network. If you were reluctant to consider an EV because of range concerns, some manufacturers are making cars in the 200+ mile range on a single charge. EV charging networks are evolving so consumers can map their destinations by charging locations. For more information about our Electric Vehicle programs, please contact Alicia Melanson at melansona@nhec.com or 603.536.8675. © 2016 New Hampshire Electric Cooperative, Inc. All rights reserved.